You’ve chosen a great place to complete your academic studies. UC San Diego is a world-class university and now it is even better because YOU have decided to join us! 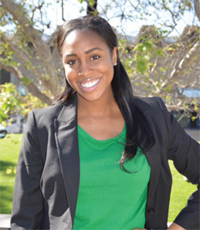 On behalf of the Black Resource Center, it is our pleasure to introduce you to the Black experience at the University of California San Diego. Our hope is that you will find several places to connect and engage during your time on this campus. 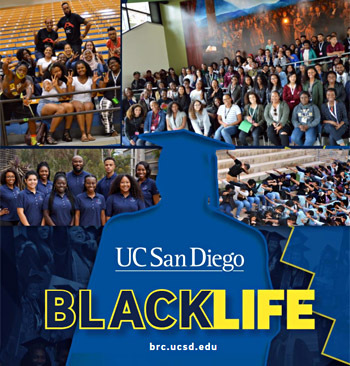 Look through the online version of our most recent UCSD Black Life publication. As you peruse these pages, we hope you will be intrigued by the endless possibilities available to you at UC San Diego. We've highlighted many amazing people, programs and places dedicated to enriching your student experience. Take time to read each student testimonial, look up the faculty and staff members highlighted, and research further the websites provided. These resources exist to promote scholarship, foster leadership and cultivate community. This is a great time to be a Triton and we're excited to welcome you.